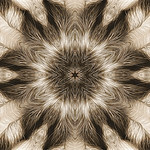 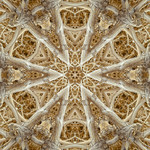 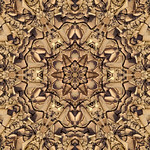 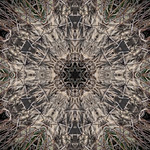 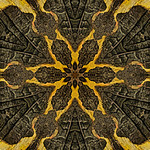 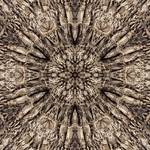 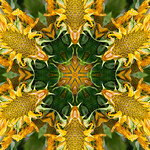 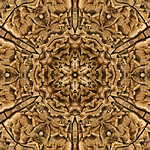 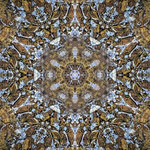 Mandalas created from photographs of patterns and striking forms discovered in natural geological, botanical, animal, and aquatic environments. 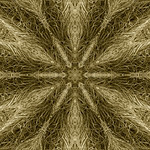 A much maligned tumbleweed finally settles down and composes itself into a brightly lit vaulted ceiling, with sturdy knotted stick beams and extra points for unwelcome guests. 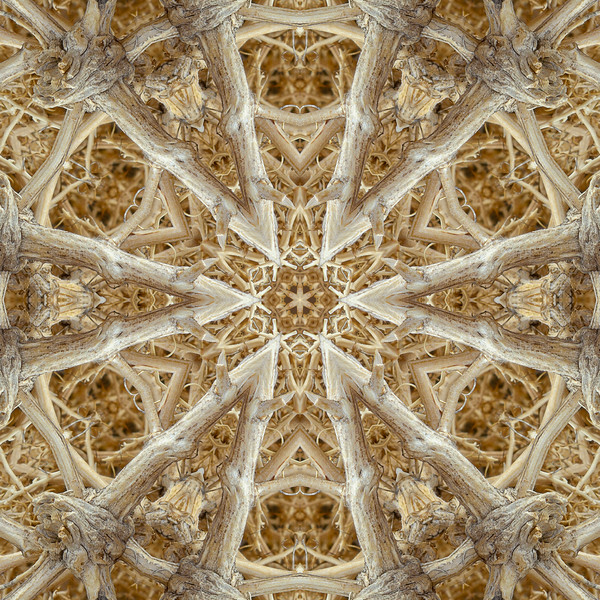 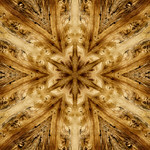 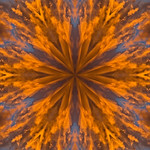 From a photograph of a large desert tumbleweed, Socorro, New Mexico.